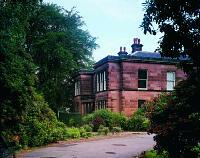 Sudley House is a hidden gem of the art world, nestled in the leafy suburb of Mossley Hill in South Liverpool. It is home to the spectacular art collection of Victorian merchant George Holt, including paintings by Millais, Rossetti, Turner, Gainsborough, Reynolds, Landseer and Turner, all displayed in their original setting. The house itself is surrounded by pleasant gardens and parkland. It has recently been refurbished to include new 'childhood', 'small world' and 'costume' rooms. There are regular events and new exhibitions at intervals. No 61 bus from Liverpool city centre - stops at Carnatic Hall, Elmswood Road (10 minute walk).